Boost your optical multi-service delivery and application aggregation with the Adtran OPTI-6100. 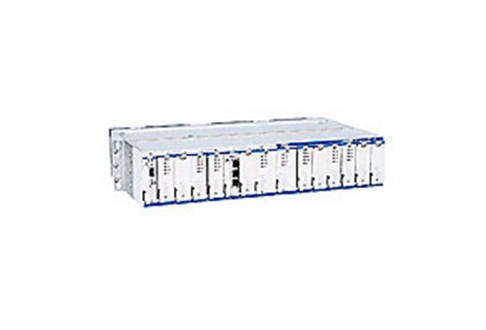 Compact units deliver high-density support and a fully featured global platform to support high-bandwidth, fiber-based services including DS1/E1, DS3/E3/EC-1, Ethernet (10/100/1000), OC-3/STM-1, OC-12/STM-4 and OC-48. Choose a refurbished or used Adtran OPTI-6100 from Worldwide Supply is perfectly designed to meet those high-density needs on customer premises as well as throughout your network. Modules are designed to plug-in and deliver services so you can provision and adjust as needed with optional protection and support to minimize network failures and disruptions. It’s a reliable way to enable carrier-grade service quality and reliability for all end customers, building a professional network. Strengthen your network across a wide range of topologies, deployed applications and locations with a used or refurbished Adtran OPTI-6100 from Worldwide Supply. The system covers single and double-ended deployment into most GR-253 SONET multiplexers, supports high-order and low-order VCAT, includes integrated DS1/E1 and DS3/E3 framers to reduce the need for external devices, has full-featured control and maintenance technology plus support for security applications and multiple levels as well as aggregation capabilities. It’s a complex system that can help you deliver your best across SONET, SDH ring, subtending, cell sites and much more. Whether you’re looking to save space on indoor cabinets so you can expand service offerings with your existing real estate or want to minimize equipment in outdoor cabinets to better protect and manage your network, the Adtran OPTI-6100 can support the configuration you need today.